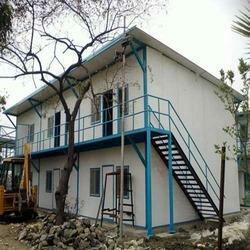 Manufacturer of a wide range of products which include prefab labour hut and prefab steel structure. The Prefab Labour Hut provided by us in the market is highly appreciated and asked for. These structures are widely used for the purpose of running various small-scale industry and schools. Manufactured as per the set industrial norms, using the finest raw materials, its demand is quite high. In addition, we offer these at the best price possible. 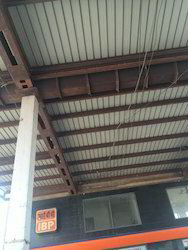 Prefab Steel Structure offered can be made available by us in different finish specifications and can be offered in options of single slope, double slope, multi-slope. Further, these structures can be offered with options of single floor/double floors as well as in column and beam construction choice. Some of its features include available in superior grade steel finish; option of straight or variable cross-section; choice of different surface finishes like hot-dip galvanized or painted; EPS, PU, Rockwool sandwich panel support and others.